South Korean tech giant Samsung Electronics is poised to conduct its year-end personnel reshuffle, which is widely expected to reflect anticipated slow growth for the chip and smartphone markets in 2019, industry sources said Monday. Reports and sources gave mixed views, with some predicting the reshuffle would be “conservative,” and others forecasting it would be aimed at “reducing the top brass.” Samsung is highly anticipated to promote only a minimum number of senior officials to executives instead of fully replacing retiring seniors. “Most of the promotions are expected to be carried out at the semiconductor division that recorded an unprecedented performance this year, while some of the senior executives at the smartphone and consumer electronics divisions are expected to retire,” a source said. According to estimates by the financial market, Samsung’s annual operating profit would slide from 64.3 trillion won this year to 60 trillion won next year. 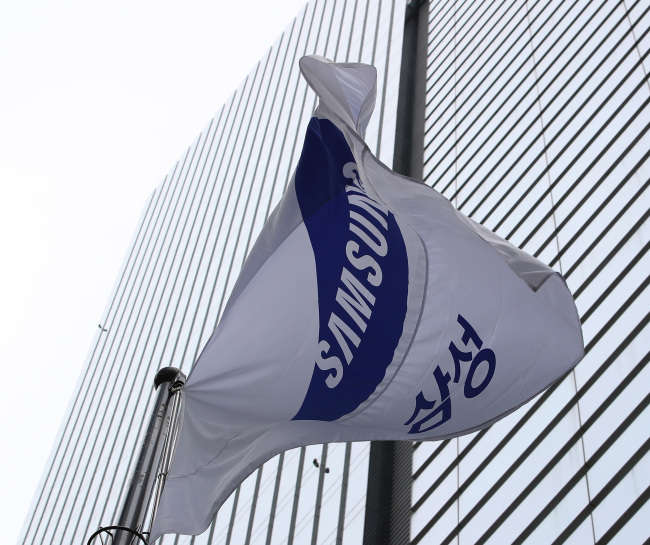 However, the three chief executive officers who took office in November last year --- Kim Ki-nam, Koh Dong-jin and Kim Hyun-suk -- are likely to retain their posts, considering that the average term for the Samsung CEO position lasts at least for three years. “Because the semiconductor boom is expected to dwindle next year and the smartphone business is struggling to retain the market leadership, the current captains are asked to stay in order to minimize the expected difficulties while they are going to hire new, younger executives to help them overcome the crisis,” the source said. Some news reports said the total number of executives at the electronics business would be reduced 10 percent from 1,049 as of late last year to around 900. A signification portion of changes in the organizational restructuring is forecast to be made at the smartphone and consumer electronics divisions, too. Some of the software engineers are joining the System LSI Business at the semiconductor division as part of the chipmaker’s plan for a new vehicle component business. The upcoming reshaping of the organization is also aimed at cementing the leadership succession of heir Lee Jae-yong, some officials said.